We finally managed to get a simple DSP task node running on our Beagleboard using Android. The sources were taken from felipec’s dsp-dummy at github. Many thanks for sharing this! You will end up with three subfolders called binaries, documents and source. Doffbuild tools are located in ./source/dsp/bdsptools/packages/ti/dspbridge/dsp/doffbuild. Copy the doffbuild folder to /opt/doffbuild or anywhere you like. But dont panic, continue with step 3! If everything went well, you will find dsp-dummy in ./out/target/product/generic/system/bin/dsp-dummy. Copy this to the target file system. 4. In this step we will load a base image onto the DSP. We used to have DSP Bridge Driver statically included in the android omap.git kernel. One would normally load a base image with a DSP/BIOS Bridge Driver utility called ‘exec’ (sometimes called exec.out). However, until now we couldn’t get exec working on android so we will do this in a slightly different way. One can also load a DSP base image when inserting the bridgedriver.ko module into the kernel, and this is exactly what we’ll do! and add the following on line 161; just after the function void __put_task_struct(struct task_struct *tsk) ends. Now you can build the modules! As a result, you’ll get dspbridge.ko and bridgedriver.ko. Copy these two to the Beagleboard. We will load the dspbridge.ko module using insmod, and also load the bridgedriver.ko with an additional paramter specifying the location of a DSP base image. For the base image we use the provided dynbase_tiomap3430.dof64P, which can be found in the binaries subfolder from step 1 of this guide. Do you still remember? Therefore copy dynbase_tiomap3430.dof64P to the target filesystem and issue the command above. 5. 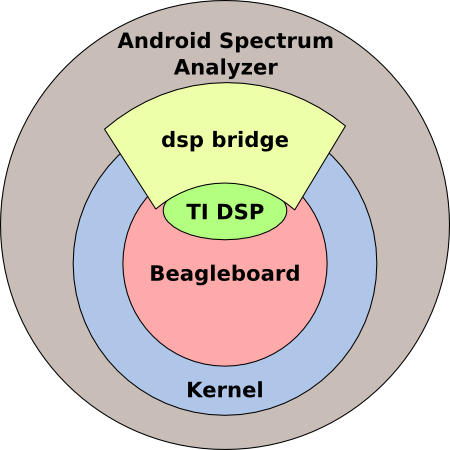 Now you can finally run the dsp-dummy application on Android Beagleboard, what a relief! The Beagleboard features a Digital Signal Processor (TMS320C64x+ DSP). For our spectrum analyzer it would be a very nice feature to calculate the FFT in the DSP. The challenge was to get the Kernel running on the Beagleboard. We had first given up on it since the USB-Host Controller was not working. But after trying every other Kernel (Embinux, 0xdroid, mainline omap kernel, etc.) we gave it another try. Since we are booting an NFS Root File System we needed USB and Ethernet support on startup time. The key is to configure the Beagleboard’s USB-OTG as a Host Device. This can be done in the menuconfig of the Kernel. This was not the only challenge. A Kernel panic occurred when looking for the init file. Well, there is still one problem though. The Input Event Subsystem seems to be messed up, thus our keyboard and mouse is not working at all. The Event Input Subsystem works now properly with the above .config file. During the last few weeks we have been putting together our platform. For an overview of what our platform and application looks like we have put together our Project Application site. Also be sure to check out our guide for “Debugging Android Applications on the Beagle Board with Eclipse” on our Development Guide. 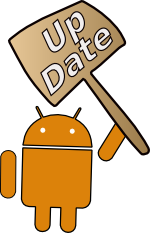 In the following weeks we are going to brush up our Development Guide and give detailed information about Kernel and Root File System as well as further application porting (i.e. libusb). 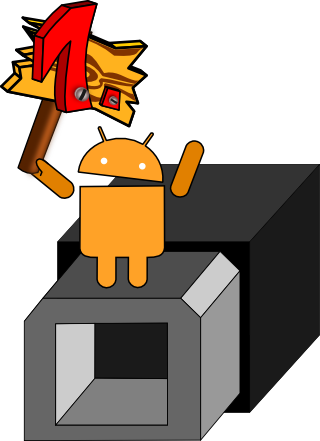 We also have gathered lots of information about how to work with AIDL for Services and JNI without Androids’ NDK. So stay tuned for fully packed guides and updates. To change the uBoot Splash you need to compile your own uBoot image and move it to your SD Card or flash it to your System. We recommend to stick with the SD/MMC solution and thus have still a fallback solution on your flash. You can get the sources for uBoot from the denx git repository. Download the following u-boot_v1_beagle_logo.patch and patch the files in the u-boot-main folder you just created. Now you may adjust your splash screen. It is stored in the logo.h header file in the beagle board folder. To create a new Splash you can use GIMP to export the graphic as “.h” file. You can then copy the *header_data array to the logo.h and adjust beagle_width and beagle_height to your image size. Note: you can set the CROSS_COMPILE prefix to the path of your favorite cross compiler. We used the Codesourcery toolchain available here. Done! Copy your u-boot.bin to your MMC/SD card. Insert your card and boot your Beagle Board; you should now see your customized Splash Screen. Normally your uBoot is loaded from u-boot.bin on your SD/MMC-Card. Yet all arguments are taken from the NAND-Flash unless you create a boot script on your SD/MMC. More information about how to build a boot script can be found on our Developing on an Embedded System site.